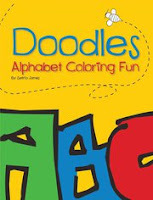 Doodles Alphabet Coloring Fun by Setria James is a coloring book for children. The story behind the author is that she is a graphic designer that utilizes original doodles instead of stock illustrations. The pages in this book are large and she used quality paper. 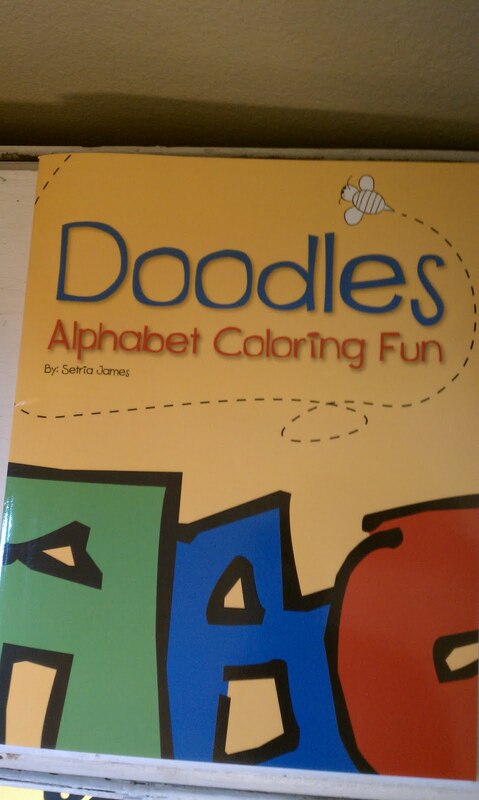 The doodles are designed to build motor skills and encourage self expression. It takes each letter of the alphabet and has two drawings on the page that start with the letter. A few of the items were not what I would have chosen for each particular letter. The letter A had apple, which is a given and then the next item was an Ape. My son keeps saying A is for monkey. Most children say monkey and not ape so that was a little confusing. The drawing is so simple that I felt like she could have came up with something else for A that would have been easier for little ones to learn. 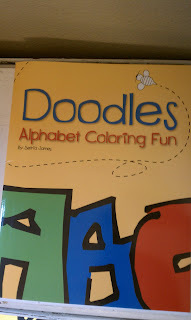 Other than that the book was a hit over here, my son has enjoyed coloring and working on his letters and sounds. Mandatory entry is to be a GFC follower of this blog. *Limited to US residents; 18 years old and above. Giveaway starts March 18 , 2011 and ends on March 31, 2011 at midnight PST. Winner will be emailed and has 48 hours to respond before another winner is selected. I was not paid for this giveaway or post. I was provided one of the coloring books free of charge for this review. 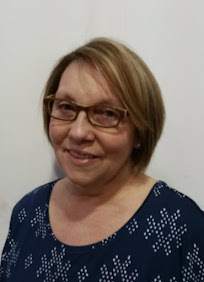 Following you via GFC (furygirl3132) Thanks so much for hosting this great giveaway! I like Doodles on Facebook! 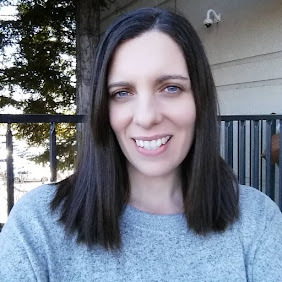 I follow you on GFC as Jennifer Herrington. Also entered Build a Dream Playhouse..
Like Doodles on FB as well.